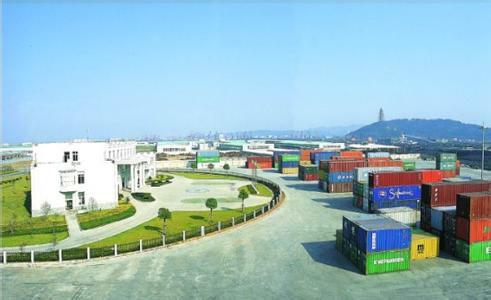 Located in the harbor of Zhenhai of Ningbo, Ningbo Regeneration Metal Resources Processing Garden is a logistics garden set up by government of Zhenhai of Ningbo. The total planning area in the garden is 200 hectares, green land is 66 hectares among them, accounting for 33%, 32 hectares in the boundaryriver and road area, 102 hectares of real areas. The garden has prepared to establish since April of 2001, and broke earth formally in December of 2001. With the energetical support of the department of province, citic environmental protection, the customs,etc, the erectors is trying to find out innovation constantly, keep forging ahead actively, and have acquired good construction achievement. It was classified as the standardized environmental protection garden of imported regenerated resources in October of 2003 by such relevant ministries and commissions as State General Bureau of environmental Protection, etc. The gross investment of the garden is 800 million yuan by the end of September of 2004, 5,500 million yuan has been infused in, and 131 hectares area has been exploited. The supervised area under control, business management area , staff living quarters, sewage processing district and 47 product processing district come into operation. In addition, 8 product processing are going to be finished. There have been 47 enterprises and about 11500 producers in the garden up to now. Ningbo Zhenhai metal processing garden is only unit of regenerative resources that confirmed through customs and authenticated by national huanshen general bureau.According to the Customs of Ningbo, The garden has imported waste metal 305,000 ton, about $90 million, and paid taxes already 137 million yuan. As the recycled resources processing garden, the staple that the metal processing garden of Zhenhai imports is the old and waste metal. Zhenhai customs implement “special-purpose motorcade, special-purpose passway, and special-purpose pile field ” manage the imported wastes in bulk.Carried to the spcial-purpose pile field by the special-purpose motorcade, levied and released And then, the wastes in bulk is transported to each processing place of the enterprises directly through the special-purpose passway between the harbor and garden of Zhenhai, then disassembled and sorted, etc. The customs specially sets up supervising site to concentrate the management of the wastes, adopting the logistics mode of “front harbour and bak court”. After imported, container wastes is carried by the motorcade directly to customs supervising field for check and then release . Though the intelligentize supervising system, the customs implement the long-distance video and control and check and release operating, which not only ensures the supervision but also saves a large amount of time of clearing customs for enterprises.